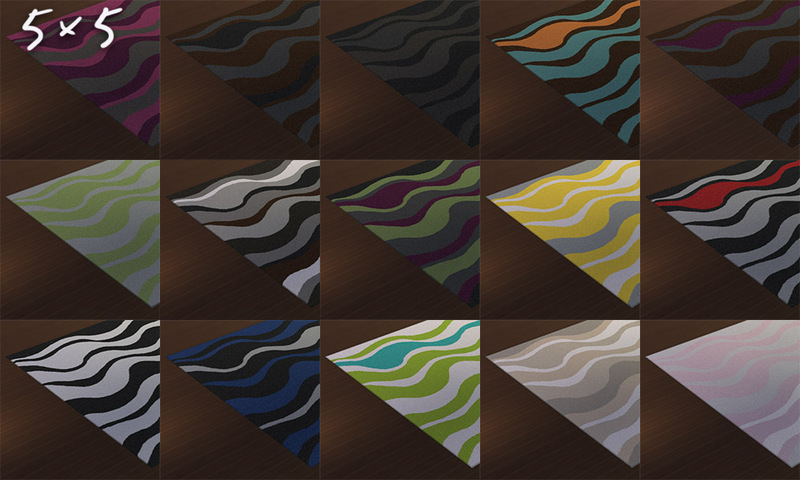 Here's a collection of rugs in three sizes (2x3, 3x5 and 5x5 tiles) using the same modern wavy pattern, in colors that should be, more or less, Maxis matching. 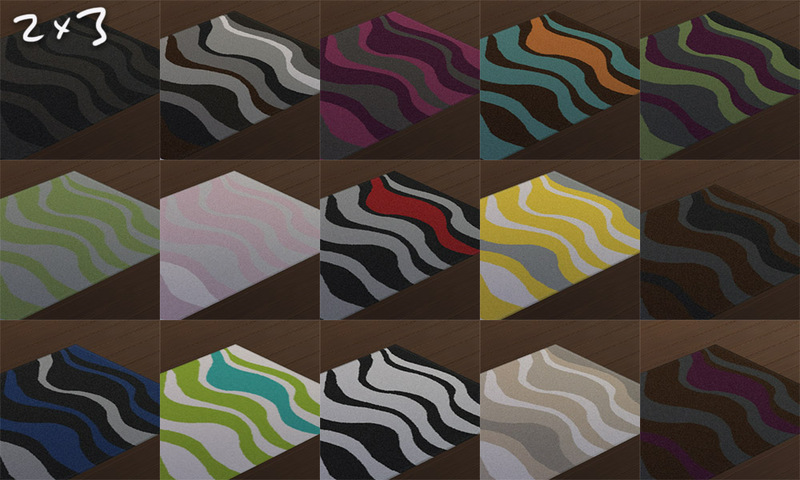 These rugs use new meshes that were created (specifically uv-mapped) for the purpose of getting the pattern to look just right on them. 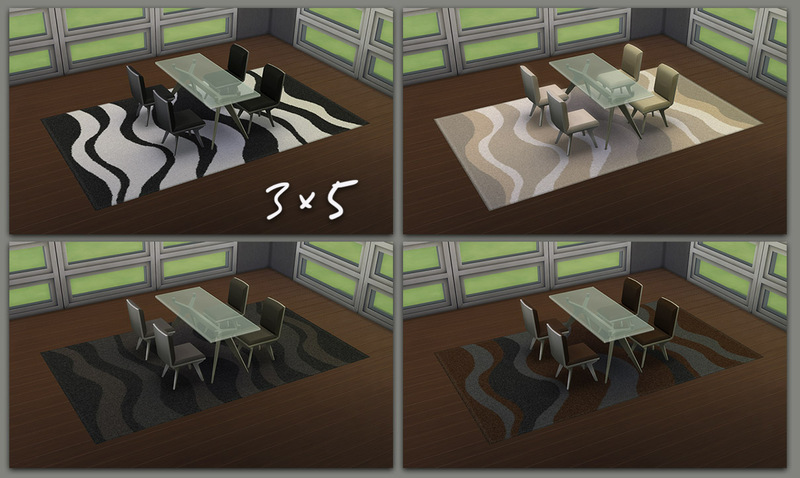 Each rug is a standalone item with its own textures, so you can choose to install just one, two or all of them. 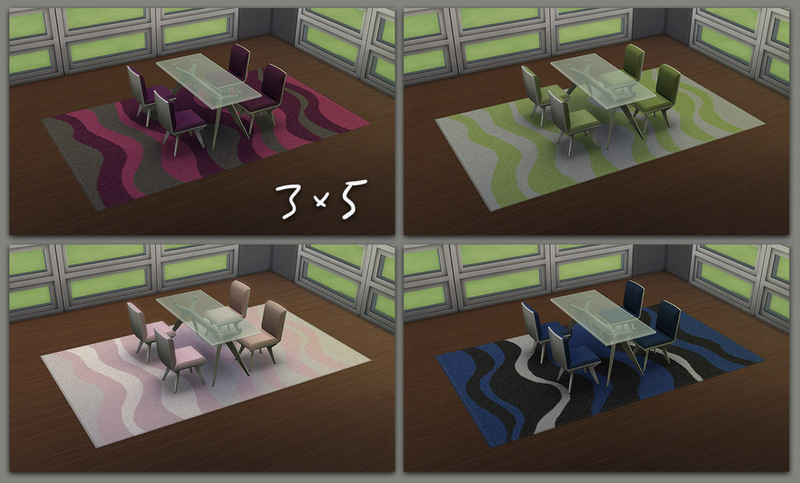 The 2x3 and 5x5 versions have 15 color options, and the 3x5 version has 10. 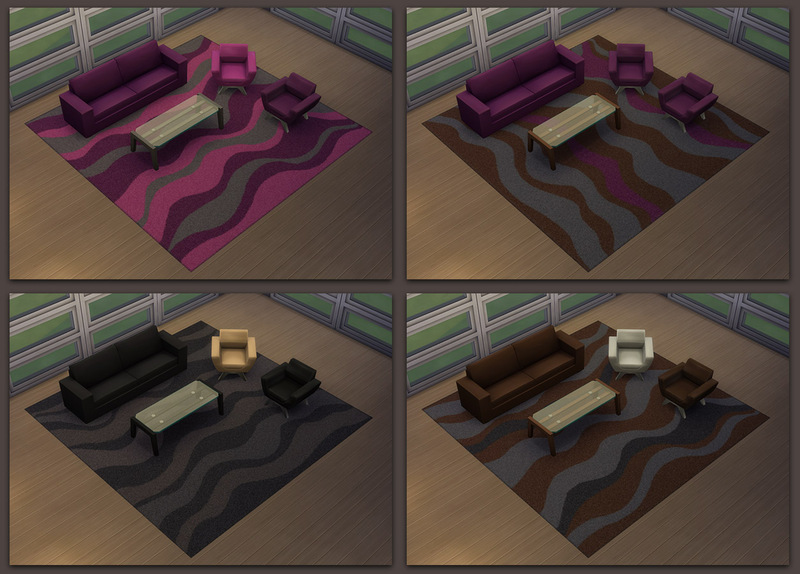 All color options are pictured in the screenshots. 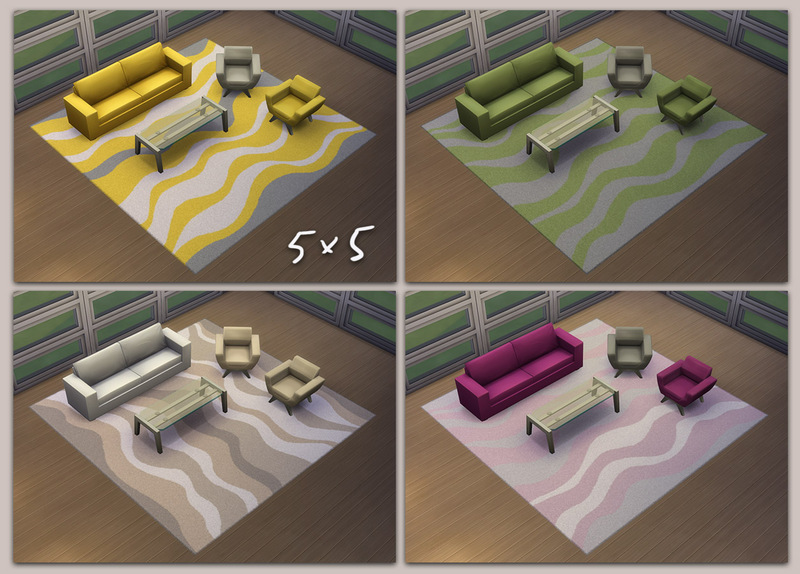 155 people have said thanks to IgnorantBliss for this download.